Realizing that it can’t make money if no one uses its products anymore, Microsoft has decided to allow iOS and Android users to access most of the functions in its mobile Office suite of apps — Word, Excel, PowerPoint — without having to pay a hefty annual subscription fee. Until now, any mobile users wishing to create or edit an Office file in these apps had to pay at least $70/year to subscribe to Microsoft’s Office 365 service, which will still exist as an upgrade for users who need the full functionality of the Office apps. But with so many free or lower-cost competitors available to users, Microsoft needed to do something to keep its audience. The fee only applies to the mobile versions, and only to non-business customers. Microsoft will continue to charge for Office 365 access for laptop and desktop users and business accounts. 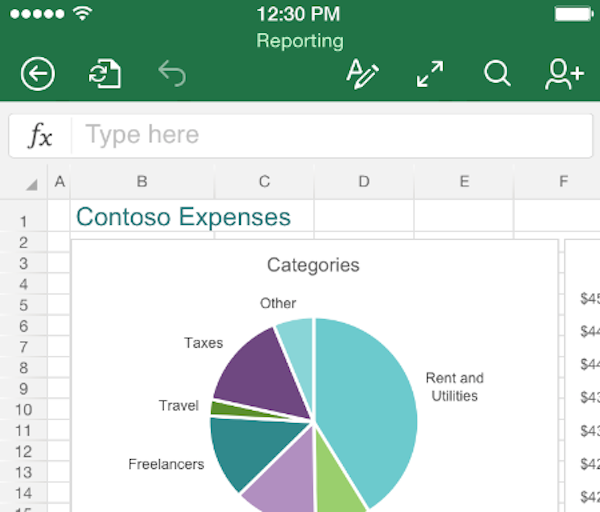 In addition to dropping the fee for mobile access, Microsoft has released a new version of Office for iPhones, updated the iPad app, and announced a preview of a version specifically for Android tablets.